I am the LORD, the God of Abraham your father and the God of Isaac; the land on which you lie I will give to you and to your offspring; and your offspring shall be like the dust of the earth, and you shall spread abroad to the west and to the east and to the north and to the south; and all the families of the earth shall be blessed in you and in your offspring. Know that I am with you and will keep you wherever you go, and will bring you back to this land; for I will not leave you until I have done what I have promised you. 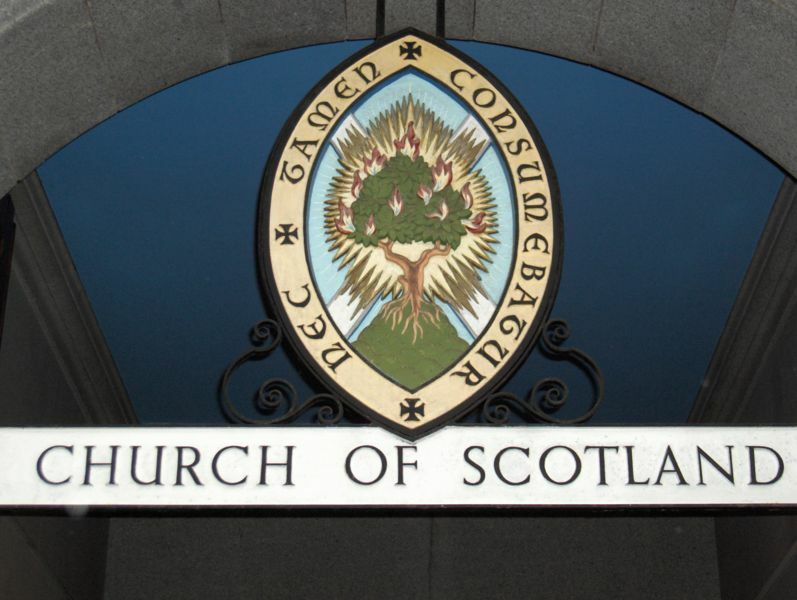 Surely the LORD is in this place– and I did not know it! How awesome is this place! This is none other than the house of God, and this is the gate of heaven. to whom you should prove that you have judged unjustly…. because they give repentance for sins. let them declare and and set if forth before me. Let them tell us what is yet to be? it is that very Spirit bearing witness with our spirit that we are children of God, and if children, then heirs, heirs of God and joint heirs with Christ– if, in fact, we suffer with him so that we may also be glorified with him. Explain to us the parable of the weeds of the field. The one who sows the good seed is the Son of Man; the field is the world, and the good seed are the children of the kingdom; the weeds are the children of the evil one, and the enemy who sowed them is the devil; the harvest is the end of the age, and the reapers are angels. Just as the weeds are collected and burned up with fire, so will it be at the end of the age. The Son of Man will send his angels, and they will collect out of his kingdom all causes of sin and all evildoers, and they will throw them into the furnace of fire, where there will be weeping and gnashing of teeth. Then the righteous will shine like the sun in the kingdom of their Father. Let anyone with ears listen! 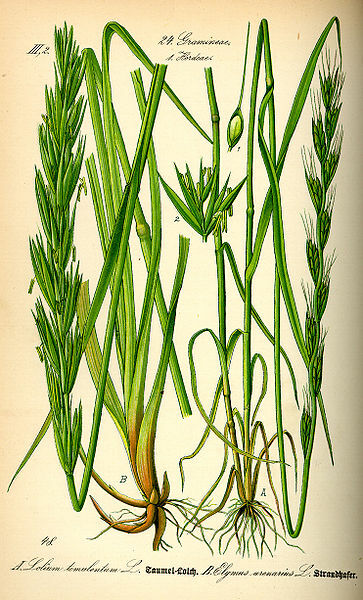 The tares were probably darnel, a species of plant parasitic to wheat. Darnel looks very much like wheat, with the distinction becoming clear beyond a shadow of a doubt when the ear develops. So premature weeding of a wheat field containing darnel will lead to the destruction of wheat. During the First Crusade (1096-1099) against the Muslims, many Crusaders killed Jews in Europe and Christians in Asia, as well as Muslims in many cities. These Crusaders did all this in the name of God and Jesus. They had a “kill them all and let God sort them out” mentality,” which is antithetical to divine compassion. KILL THEM ALL AND LET ALLAH SORT THEM OUT. Indignation over the attacks of September 11, 2001, was and is understandable, but nothing justifies the attitude in that bumper sticker. Or shall I mention the Albigensian Crusade of 1209-1213, in which the Pope authorized mercenaries to slaughter the Cathar (Gnostic) heretics in France? Men killed many people (not just Cathars and each other) and fought over land claims, to enrich themselves. They did this in the name of God. Who is darnel and who is wheat? Do we even know which we are? The parable from Matthew contains a powerful corrective lesson for those who presume to know the mind of God and to think they have the right to persecute and/or kill those they deem to be darnel. Puritans in Seventeenth-Century New England hanged Quakers as a threat to society. I think that the Quakers were the wheat and their executioners the darnel, but the Puritan authorities thought otherwise. Alas, those who need to learn the lesson of this parable are the least likely to do so. The Biblical texts, including those read this day, speak of divine judgment and mercy. Both are attributes of God, who knows far more than we ever will. And I dare say that God’s targeting is more exact than ours. We tend to write people off when God gives them second, third, fourth, and fifth chances. Consider Jacob, a schemer too clever for his own good and that of some people around him. He had mystical encounters with God and matured spiritually, becoming the patriarch Israel, for whom the people and nation-state are named. God did not write him off. Jacob/Israel was wheat, not darnel, despite early appearances to the contrary. There is great virtue in religious toleration and the separation of the state mechanisms and religious establishments. When the church and the state (or the mosque and the state) become united, one becomes an arm of the other, which is detrimental. James Madison, Father of the U.S. Constitution, believed fervently in the separation of church and state, mainly for the protection of the churches. And theocracy is notoriously detrimental to dissenters, whom the establishment considers darnel. But the theocrats act more like darnel than wheat–and always in the name of God. …the righteous must be kind…. A great part of righteousness consists of loving our neighbors as ourselves and leaving divine judgments to God alone. Otherwise, we run the risk of doing more harm than good. We need not pretend to agree with others when we disagree with them, but civilized people can differ without resorting to persecution and bloodshed. Besides, we are mistaken about some points, too, and those with whom we disagree are partially correct as well. The judgment in this matter resides only with God. Above: The Persian Empire Circa 500 B.C.E. So the Israelites set out from Rameses for Succoth, about six hundred thousand men on foot, besides the dependents; a great cloud went up with them, as well as very much live stock, both flocks and herds. With the dough that they had brought out of Egypt, they baked unleavened cakes; for it was not leavened, because they had been driven out of Egypt and could not wait, nor had they prepared any provisions for themselves. The length of time that the Israelites lived in Egypt was four hundred and thirty years; and at the end of the four hundred and thirty years, on that very day all the hosts of the LORD left the land of Egypt. Since that was a night of vigil on the part of the LORD to bring them out of the land of Egypt; this night must be one of vigil for the LORD on the part of the Israelites throughout their generations. But the Pharisees left the synagogue and consulted about him, with a view to putting him to death. My beloved, who delights my heart! And he will announce a judgment to the heathen. Until he carries his judgment to success. The heathen will rest their hopes on his name! God is the hope of all peoples, and the people who worship God (in the Judeo-Christian traditions) are called to be lights to the nations. This is the deity whose “mercy endures for ever,” to quote Psalm 136. The reading from Exodus is set immediately prior to the departure from Egypt. The Canadian Anglican lectionary will cover that event during the Week of Proper 11, so I choose to hold off on certain comments until then. For today, then, may we focus on the theme of an impending exodus–first from Egypt then from Mesopotamia. quality about Post-Exilic Judaism. During the time of Jesus, for example, there were many Gentiles who rejected polytheism and embraced the God of Judaism, but whom the Jewish religious establishment defined as marginal. These Gentiles were still Gentiles, so there were places in the Jerusalem Temple complex they were not supposed to enter. Jesus had great appeal to this population, from which came many of the first Christians. I write these words on the Sixth Day of Christmas, so the thought of light in the darkness, applied to Jesus, is very much on my mind. And I am exactly one week away from the Feast of the Epiphany, which is all about taking the news of the gospel of Jesus to the Gentiles. This thought comforts me, for I am a Gentile. Christianity, an offshoot of Judaism, is an overwhelmingly Gentile faith system, of course. But we have our own metaphorical Gentiles, those we keep at the margins. Our criteria vary, ranging from socio-economic status to sexual orientation. But Jesus lived, died, and rose again for these people, too. And, before that, God loved all the insiders and outsiders, as we humans define them. May we learn an essential lesson: That our definition of “insider” is much narrower than God’s. Then may we act accordingly. So Moses and Aaron performed all these portents before Pharaoh; but the LORD made Pharaoh stubborn, so that he would not let the Israelites leave his land. This month shall be the first of the months for you; it shall be the first month of the year for you,’ announce to the whole community of Israel; ‘on the tenth day of this month they must provide for themselves one sheep each for their several families, a sheep for each household; if any household is too small for a sheep, it shall provide one along with its neighbor who is nearest to its own household in the number of persons, charging each for the proportionate amount of the sheep that it ate. Your sheep must be a perfect male, a year old; you may take one of the lambs or goats. You must keep it until the fourteenth day of this same month, and then the whole assembly of the community of Israel must slaughter it at twilight, and taking some of the blood, they must apply it to the two door-posts and the lintels for the sake of the houses in which they eat it. That same night they must eat the flesh, eating it roasted, along with unleavened cakes and bitter herbs; do not eat any of it raw, nor cooked in any way with water, but roasted, its head along with its legs and entrails; and you must not leave any of it over until morning; any that might be left over until morning you must burn up. This is how you are to eat it: with your loins girded, your sandals on your feet, and your staff in your hand; you must eat it in trepidation, since it is a passover to the LORD. This very night I will pass through the land of Egypt, striking down all the first-born in the land of Egypt, both man and beast, and executing judgment on all the gods of Egypt, I, the LORD. The blood will serve as a sign for you on the houses where you live; and when I see the blood, I will pass by you, so that no deadly plague will fall on you when I smite the land of Egypt. This day shall be a memorial for you; so you must keep it as a feast to the LORD; throughout your generations you must keep it as a perpetual ordinance…. Did you ever read what David did, when he and his companions were hungry? How is it that he went into the House of God and that they ate the Presentation Loaves which it is against the Law for him and his companions to eat, or for anyone except the priests? Or did you ever read in the Law how the priests in the Temple are not guilty when they break the Sabbath? But I tell you, there is something greater than the Temple here! But if you knew what the saying means,”‘It is mercy, not sacrifice, that I care for,” you would not have condemned men who are not guilty. For the Son of Man is master of the Sabbath. Be perfect, therefore, as your heavenly Father is perfect (New Revised Standard Version). I mean it. Whenever I say this to one particular gentleman, he says, “Thank God.” That is an appropriate response. I write these words on December 29, 2010. Due to the fact that December 26 was the First Sunday after Christmas, the major feasts (St. Stephen, St. John the Evangelist, and the Holy Innocents) have transferred by one day, falling like dominoes. So December 29 (not the 28th) is the date for the Feast of the Holy Innocents in 2010. This commemoration causes me to wonder why there was not passover blood for those little boys. I have no easy answers. So the Israelites are spared, but what about the Egyptians? Are not their lives just as valuable? I am not shy about arguing with the Biblical texts, for I engage them, not worship them. The Bible is the most ubiquitous idol within Christianity. This is not its purpose, but that is what well-intentioned people have made it. Speaking of accidental idolaters, let us turn to the Pharisees. When you enter another man’s field of standing grain, you may pluck ears with your hand; but you must not put a sickle to your neighbor’s grain. Obedience to God, rather than burnt offerings. The reference to David comes from 1 Samuel 21:1-6, set during a time when David was on the run from King Saul. David and his men were hungry, so, with the aid of a priest, Ahimelech, eat the only bread available–consecrated loaves reserved for priests. Consider the context in Matthew. Jesus has just completed his “Come to me, all who are heavy-laden” invitation. The day is the Sabbath, and his disciples are hungry. They obey Deuteronomy 23:26 by reaping with with their hands. Religious legal codes subsequent to Deuteronomy 23:26 forbade reaping on the Sabbath, and the disciples had violated this law. Jesus replies by referring to David, whom the Pharisees revered, and to the fact that professional religious people worked at the Temple on the Sabbath legally. So why is satisfying the basic human need to eat considered improper? The verses following incident immediately tell of Jesus healing on the Sabbath. He has to defend himself from criticism then, too. People more imp. than things! Jesus insisted that the greatest ritual service is the service of human need. This statement is so obvious to me that I stand in dismay at someone having to argue for it. This should be a given, something people assume and to which they stipulate and then act upon. So the service of human needs is the perfect sacrifice to God. May we read, mark, learn, and inwardly digest this concept and act accordingly, as our circumstances dictate the particulars. One danger of the sacrificial imagery is that the significance of Christ’s work can easily be corrupted in the same way the sacrificial system of the Old Testament was corrupted. It easily becomes a kind of bargaining with God. A sacrifice has been offered to satisfy his demands and appease him–so now we are free go go on being and doing anything we like without interference from him. How did the prophets protest against such a perversion of the sacrificial system? See Isaiah 1:10-31; Amos 5:21-24; Hosea 6:6; Micah 6:6-8. Is the prophetic protest against the misuse of sacrifices relevant also to our understanding of the sacrifice of Christ? Would the prophets allow the split we sometimes make between preaching concerned with social action and preaching concerned with salvation from sin? Think about it. Pray about it. Learn what God teaches, and act accordingly. in case I go the Israelites and say to them, “The God of your fathers has sent me to you,” and they say, “What is his name?” what am I to say to them? Come to me, all of you toil and learn from me, and I will let you rest. Let my yoke be put upon you, and learn from me, for I am gentle and humble-minded, and your hearts can find rest, for the yoke I offer you is a kindly one, and the load I ask you to bear is light. Meaning of Heb. uncertain; variously translated: “I Am That I Am’; “I Am Who I Am”; “I Will Be What I Will Be”; etc. There is a great mystery about all this, and that is as matters should be. God refuses to fit into human categories, even temporal ones. Translation: God exists beyond human control and understanding. May we stand in awe of the mysterious grandeur of God. 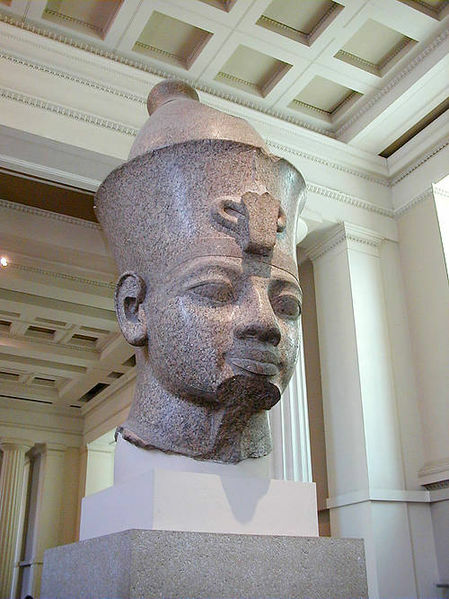 This God, self-identified as YHWH and Ehyeh-Asher-Ehyeh manifests concern for the oppressed Hebrews of Egypt and commands Moses to lead them out of slavery. God will liberate the Hebrews, but there must be a human leader of the Exodus. Most importantly, though, God cares and acts mightily in accordance with this attitude. The standard English translation of Psalm 14:1 is that a foolish person thinks, “There is no God.” (A nearly identical verse occurs in Psalm 10:4.) But, as The Jewish Study Bible notes point out, some form of theism was a universal assumption at the time of the writing the psalms. As I have written elsewhere, for God to exist is for God to care. That is a God whose face and strength I can seek without reservation. Jesus, in Matthew 11, summons people to come to him and take on a spiritual discipline. We need rules to establish order and direct our energies. We ought also to choose only the proper rules, of course. There are negative rules, those which exclude people inappropriately while stroking the egos of insiders. The best disciplines, however, are those which transform us into what we ought to be and are based on love–of God, others, and ourselves. The existence of Jesus is itself an indicator of God’s care for people. So why not take up Jesus on his invitation? He has the bona fides. God Works and Speaks in Mysterious Ways; Do We Perceive and Accept Them? I will turn aside and see this great sight, why the bush is not burned up. When the LORD saw that he had turned aside to look at it, God called to him out of the bush. take your sandals off your feet; for the place on which yo are standing is holy ground. I am the God of your father, the God of Abraham, Isaac, and Jacob. Then Moses hid his face; for he was afraid to look at God. and I have heard their cry under their oppressors; for I know their sorrows, and I have come down to rescue them from the Egyptians and bring them up out of that land to a land, fine and large, to a land flowing with milk and honey, to the country of the Canaanites, Hittites, Amorites, Perizzites, Hivvites, and Jebusites. Now the cry of the Israelites has reached me, and I have also seen how the Egyptians are oppressing them; so come now, let me send you to Pharaoh, that you may bring my people, the Israelites, out of Egypt. Who am I, to go to Pharaoh, and bring the Israelites out of Egypt? I will be with you and this shall be the sign for you that I have sent you. When you bring the people out of Egypt, you shall serve God at this mountain. I thank you, Father, Lord of heaven and earth, for hiding all this from the learned and the intelligent and revealing it to children. Yes, I thank you, Father, for choosing to have it so. Everything has been handed over to me by my Father, and no one understands the Son but the Father, nor does anyone understand the Father but the Son and anyone to whom the Son chooses to reveal him. 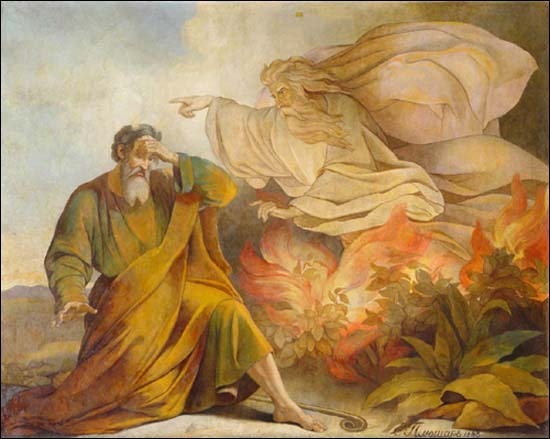 There are many proposed explanations of the burning bush. It is, I grant, an interesting academic question, but that is beside my purpose here. No, I care more about formation than information. Whatever Moses saw and heard, and however he saw and heard it, it led him to leave his exile as a shepherd in Midian and to return to Egypt, where he was wanted on a murder charge, to confront the Pharaoh and lead the Hebrews out of that empire. Moses had a speech impediment, about which he was self-conscious. So his question about whether he was the appropriate choice for this assignment was natural. But God was with him. Now I switch channels to the Gospel of Matthew. This prayer of Jesus occurs in the context of our Lord and Savior facing rejection. The religious establishment has rejected him, but many of the common people, almost all of whom were poor, accepted him. Consider these facts when reading those three verses. Be sure to avoid an anti-intellectual interpretation, for the human brain, with its great potential, is a gift of God. As an Episcopalian, I employ scripture, tradition, and reason in my faith life. And as an intellectual, I relish the life of the mind. God works and speaks in mysterious ways. Do we recognize them? And if we do, do we embrace them? Be honest; how would you respond to a burning bush? Or, if not for religious tradition over nearly 2000 years, would you accept Jesus? When you read–really read–the words of the canonical Gospels, do you recoil at the moral teachings? I leave these questions with you, O reader, to consider prayerfully. 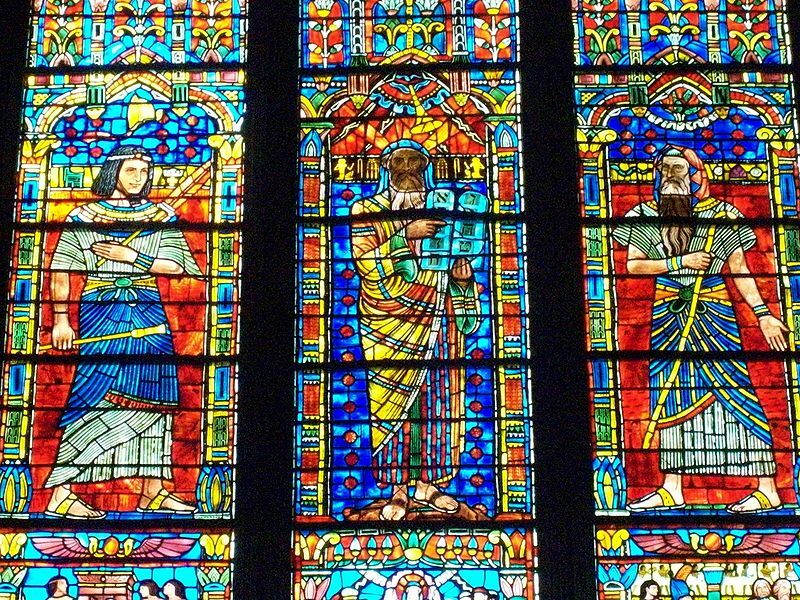 Above: Moses Window (By Lawerence Saint) at the Cathedral Church of St. Peter and St. Paul (Washington National Cathedral), Washington, D.C.
Now a man belonging to the house of Levi went and married a daughter of Levi. The woman conceived and bore a son, and seeing that he was robust, she hid him for three months. When she could no longer hide him, she procured an ark of papyrus reeds for him, and daubing it with bitumen and pitch, she put the child in it, and placed it among the reeds beside the bank of the Nile. His sister posted herself some distance away to see what would happen to him. This is one of the Hebrews’ children. Shall I go and summon a nurse for you from the Hebrew women, to nurse the child for you? Take this child away and nurse it for me, and I will pay the wages due you. Why do you strike your companion? Who made you ruler and judge over us? Are you thinking of murdering me as you did the Egyptian? When Pharaoh heard about the matter, he tried to kill Moses, but Moses fled from Pharaoh and went to the land of Midian, and sat down beside a well. your help, O God, will lift me up on high. and those who love this Name will dwell therein. Then he [Jesus] began to reproach the towns in which most of his wonders had been done, because they did not repent. Alas for you, Chorazin! Alas for you, Bethsaida! For if the wonders that have been done in you had been done in Tyre and Sidon, they would have repented in sackcloth and ashes long ago! But I tell you, Tyre and Sidon will fare better on the day of judgment than you will! And you, Capernaum! Are you to be exalted to the skies? You will go down among the dead! For if the wonders that have been done in you had been done in Sodom, it would have stood until today. But I tell you that the land of Sodom will fare better than the Day of Judgment than you will! “Repentance” is a word used often and misunderstood frequently. It means far more than apologizing for a deed or for deeds; it entails changing one’s mind, literally turning around. This theme links the readings from Genesis and Matthew. Moses enters the story in Genesis 2. His mother and sister arrange for him to enter the Pharonic palace under the care of the Pharaoh’s daughter. The Pharaoh in question might be Sobekhotep III, who had issued the “kill Hebrew baby boys” order at the end of Chapter 1. But the princess obviously had some sway with her father. So Moses grew up in the royal palace. One day, however, he had to decide which side he was on. He chose the side of the abused and enslaved. In the process he killed an abuser, an act for the which the Pharaoh (probably Sobekhotep IV, second Pharaoh to reign after Sobekhotep III) tried to have Moses killed. But Moses escaped into the land of Midian. This chapter in the life of Moses the liberator ends with him on the run for murder. He had turned his back on his comfortable, safe existence, which he could no longer continue because he could no longer be blind to what his adoptive family was doing to his people. Matthew Chapter 11 begins a section on the rejection of Jesus by people. This section begins with John the Baptist, languishing in prison, sending messengers to ask Jesus if he (Jesus) is the Messiah. Jesus provides his answer (in brief, my deeds speak for themselves) then praised his forerunner. And, as people and rejected and done violence to John the Baptist, the same will happen to Jesus. Then we come to this day’s reading from Matthew. Jesus condemned Chorazin and Bethsaida, Galilean cities where Jesus had worked mighty deeds but evidence repentance was impossible to find. Capernaum, were Jesus lived, was likewise unrepentant. It will go badly for them on the day of judgment, the author of Matthew quoted Jesus as saying. Tyre and Sidon were Gentile cities renowned for wickedness, and Sodom was an old example of unrighteousness and a lack of repentance numerous Biblical authors cited. Such mighty acts would have inspired repentance in these places, so what was wrong with Chorazin, Bethsaida, and Capernaum? It is difficult to suddenly change the habits of a lifetime. This principle holds true in other settings. Repentance entails changing how one thinks, and thoughts lead to actions. Patterns of thinking become entrenched in us, and, for many, they become ossified as people become set in their ways. We human beings have proved our capability to see and hear selectively in ways that justify ourselves to ourselves and those similar to us. We need to be on guard against this tendency, for it blinds us to what God is saying, which includes notices of our sins. How can we repent–turn around and change our minds–if we do not recognize that we have a problem? It is easy to point out the ossification of others but difficult to see in ourselves. We have spiritual blind spots, but that alone is an insufficient explanation for this phenomenon. A full explanation must take account of the fact that we like to think of ourselves in positive terms, so our failings–our sins, those things which prevent us from being what we ought to be in God–disturb us. Sometimes looking upon them is too much for us to bear. But we must, if we are to live faithfully. God knows that we have warts in our character, but there is only one perfect person in the Bible. Look at the others; all of them were flawed. For example, Jacob was a schemer, Moses and David were murderers, and Rahab was a prostitute. Yet God used all of them, and the author of the Gospel of Matthew goes out of his way to list Rabab and Bathsheba as ancestors of Jesus. So there is hope for us all, if only we turn to God and change our minds. Do we dare to it? See, the Israelite people have become too numerous and too strong for us; come, let us take precautions against them lest they become so numerous that in the case of war they should join forces against us, and so escape from the land. Accordingly, gang-foremen were put in charge of them, to oppress them with their heavy labor; and they built Pithom and Raamses as store-cities for Pharaoh. But the more they oppressed them, the more they multiplied, so that they became apprehensive about the Israelites. The Egyptians reduced the Israelites to rigorous slavery; they made life bitter for them in hard work with morter and bricks, and in all kinds of work in the fields, all the work that they exacted of them being rigorous. Every boy that is born to the Hebrews, you must throw into the Nile, but you are to let all the girls live. Do not think that I have come to bring peace to the earth. I have not come to bring peace but a sword. For I have come to turn a man against his father and a daughter against her mother and a daughter-in-law against her mother-in-law, and a man’s enemies will be in his own household. No one who loves father or mother more than me is worthy of me, and no one who will not take up his cross and follow me is worthy of me. Whoever gains his life will lose it, and whoever loses his life for my sake will gain it. Whoever welcomes you welcomes me, and whoever welcomes me welcomes him who has sent me. Whoever welcomes a prophet because he is a prophet will have the same reward as a prophet, and whoever welcomes an upright man because he is upright will have the same reward as an upright man. And no one who will give the humblest of my disciples even a cup of cold water because he is my disciple, I tell you, can never fail of his reward. Fear, manufactured or not, based in facts or manufactured, often provides pretexts for tyranny and religious persecution and intolerance. This is an ancient story as contemporary as today’s headlines. Let us examine two past examples from this day’s lectionary readings. The Pharaoh (whatever his name was) stirred up fear of the Hebrews. This fits historically if Rohl is correct, for the Thirteenth Dynasty was weaker than its predecessor. This was a time of political, military, and climatic difficulties greater than during the Twelfth Dyansty. Perhaps the Pharaoh sought to strengthen his power by subjugating and scapegoating the Hebrews. But midwives with respect the for the lives of newborn Hebrew boys disobeyed orders to kill said male children. Let us praise their civil disobedience. It is easy to target those who are different from ourselves and to heap scorn on them. There is an unfortunate human tendency to seek easy answers when they are inadequate. How else can I explain the popularity of fundamentalism and other woes? Religious persecution was a real threat to the Christians of the Roman Empire. Most persecutions were regional, not empire-wide, and not constant. None of these facts, of course, reduced the impact of persecutions when they occurred. Aside from official actions, there were family issues. The words in Matthew 10:34 and following describe what many people–especially in the original audience of the Gospel of Matthew–experiened and what numerous Christians have to deal with today. I write from North America, where I enjoy freedom of religion, but many of my coreligionists elsewhere in the world place their lives at risk if they accept water baptism. The Emperor Nero scapegoated Christians for the fire that ravaged Rome. The fire could have started by accident, but Nero had political problems and Christians were unpopular, widely misunderstood, and most importantly, a distinct minority. So blaming them shifted the blame from Nero. This was convenient for him. 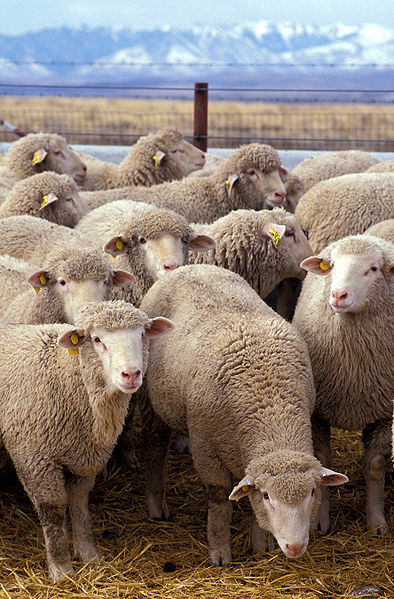 Scapegoating can be based on religion, ethnicity, race, culture, and other factors. But it never solves the problems from which people are trying to detract attention. The Hebrews escaped Egypt, and the Hyksos, foreigners, toppled the Thirteenth Dynasty. And Roman imperial stability and social decay had nothing to do with the rise of Christianity. Yet the official line held that the empire would prosper as long as the gods blessed it, which they would do as long as people worshipped them. So the rise of Christianity was a perceived threat to the stability of the imperium. In the Egyptian and Roman cases the quest for easy answers won the moment. God, however, won in time. Our lectionary journey through Exodus begins here as our trek through Matthew continues. Let us continue together as we explore these texts and seek meanings in them.